There is a serious, systemic problem in scholarly publishing that disadvantages academic authors, their institutions, the global research community, and the general public. 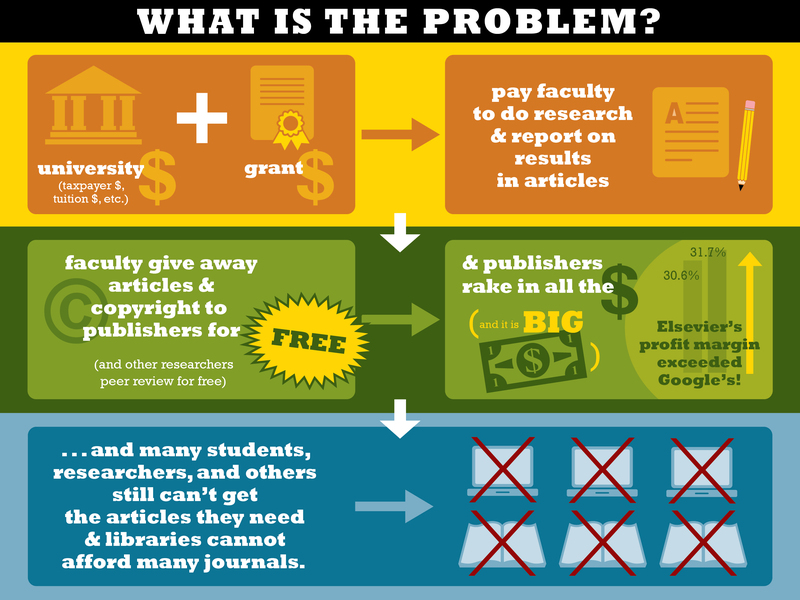 The problem stems from the subscription-based model of scholarly publishing, whereby publishers place academic journal articles behind paywalls so that anyone can’t pay can’t read them. Open Access (OA) is a movement based on the principle that this situation is fundamentally unjust, and that the fruits of academic endeavor should be freely available to everyone. OA archiving and publishing are the two main strategies for accomplishing this goal, and they promise to benefit both the global research community and individual authors, moving published research into the open and thereby broadening its readership and generating more citations. OA is also fast becoming a requirement for recipients of research funding, as many public and private funding agencies are enacting public access policies to make the results of funded research accessible to all. So, what can you do to advance the cause of OA and start taking advantages of the benefits it can bring to you as a scholar?